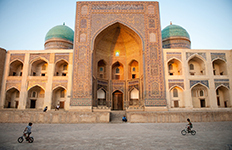 The ancient country of Uzbekistan is arguably the most fascinating of the Central Asian republics. A key link on the Silk Road connecting Beijing with Istanbul, it contains some of the oldest towns in the world, such as the legendary cities of Samarkand, Bukhara and Khiva. Historically, some of the most influential and savage conquerors came and ruled these lands, such as Alexander the Great and Genghis Khan, and influences from Huns, Turks and Arabs can still be seen today. 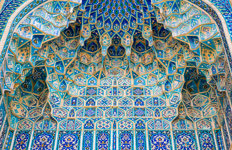 However, Uzbekistan's golden age was under Tamerlaine in the 14th century AD, who made Samarkand his capital and left a breathtaking architectural legacy including mosques, madrassahs and majestic Registan Square. 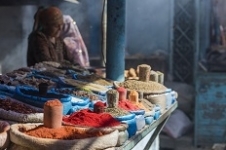 Today, the old atmosphere of the Silk Road still survives in the oriental bazaars of Margilon, Andijon and Samarkand and the exotic tea houses where the many nationalities of Central Asia gather together wearing their colourful traditional clothes. As of 1 Feb 2019 it will be 30 days visa free for Australian passport holders. All GetAboutAsia itineraries are customisable to suit your interests, budget and timeframe. To get you started we've listed some of our favourites below. Our Asia Travel Experts are waiting to answer your questions. 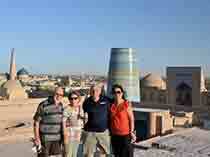 Uzbekistan is a treasure of travel experiences. There is so much to see. Explore this fascinating country with our 11-day itinerary. Learn about the history and meet local people. 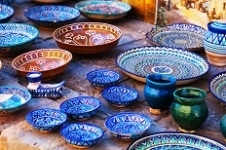 Colourful markets, stunning architecture, ancient Silk Road cities, mountain home-stays, silk weaving, rural villages, Soviet cities, friendly Uzbekis. Discover the historical, cultural and natural aspects of this pristine country in a small group tour. 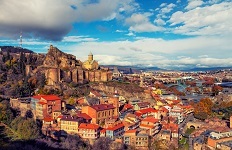 Explore medieval blue-domed cities, ancient bazaars and rugged landscapes. 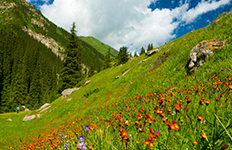 Central Asia encapsulates the romance of the Silk Road like nowhere else. Follow the paths of Alexander the Great, Ghengis Khan and Timur. 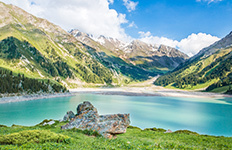 Extend your stan adventure by exploring the Asian edges of Azerbaijan, Georgia and Armenia drenged in history offering magnificent mountainous views. 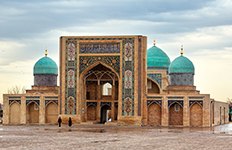 Be entranced by the beauty and the wonder of Central Asia on this 17-day tour from the capital of Kyrgyzstan to the heartland of Uzbekistan. Beginning in Tashkent, we travel via the Silk Roads cities of Samarkand and Bukhara into the surreal world of Turkmenistan. Nomadic stays, mountain villages and dazzling Islamic architecture in Iran complete your adventure. Beginning in Tashkent, we travel through the Uzbek & Kyrgyz Fergana Valleys and marvel at the imposing Kyrgyzstan mountains. Eagle Hunting and Yurt stays in Tash Rabat and Song Kul round off this Wild Kyrgyzstan Adventure. 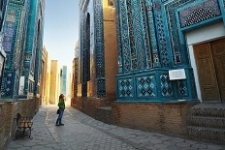 The Silk Road cities of Kashgar, Samarkand and Bukhara were famed trading centres in ancient times. 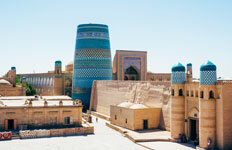 Discover magnificent architecture and bustling bazaars on this spectacular journey to the heart of Central Asia. Get a glimpse of the impressive mountainous views, the historical buildings dating back to the 11th century and immerse yourself in the traditional nomads life in Uzbekistan.